Give her an engraved heart bracelet. Heart-shaped pendant (18mm x 18mm). 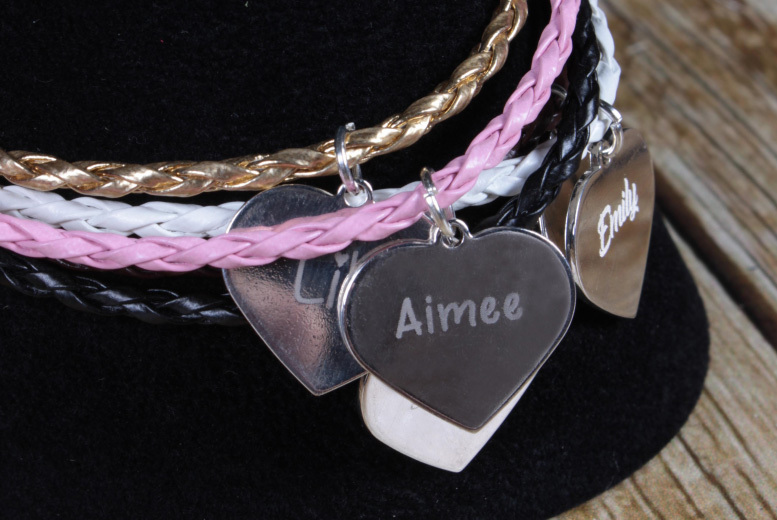 Engrave pendant with a loved one’s name or initials. Leather strap comes in five colours: white, black, gold, pink or brown.